HELLO VIPs, WELCOME TO THE SECRET PART OF OUR WEBSITE JUST FOR YOU! We are celebrating this week our 36th Anniversary! 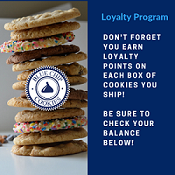 Along with our FREE FedEx Ground Shipping and ongoing loyalty points for our customers...we have these unique specials just for people that sign up and receive our monthly email. Check out our 2 VIP specials this week. Anyone who purchases VIP specials the week of 3/25/19 will be able to participate in our drawing for "Anniversary Prizes!" and our Sweet 16 Contest! Be sure to pick your team, and win. Prize drawing for the Anniversary Celebration will be next week, April 1st. Name drawing for NCAA Championship is after the big game. There are currently no products in this shopping category.